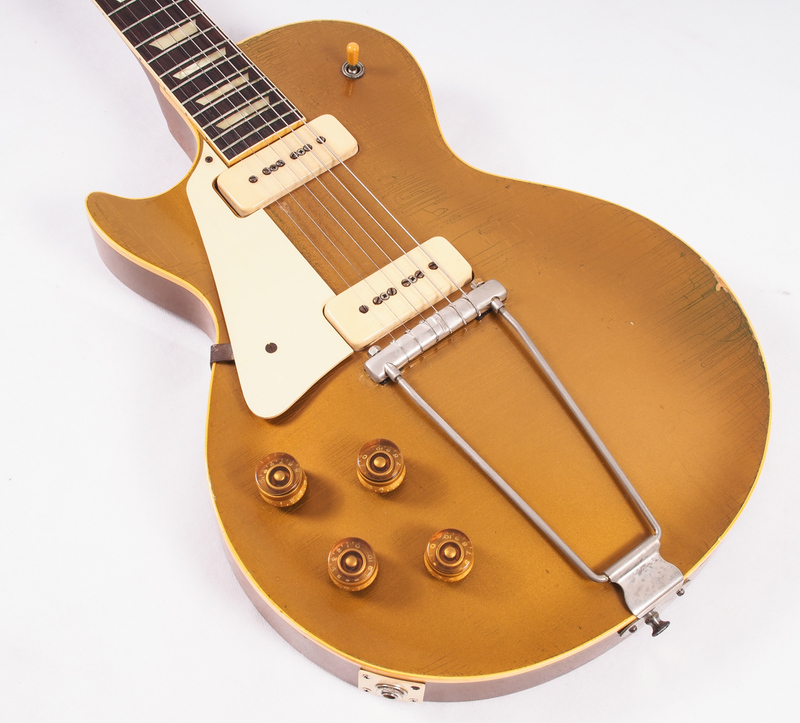 Introducing An Original Gibson 1952 Les Paul Goldtop! 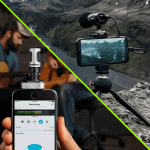 This is a rare chance to own a genuinely exciting instrument. 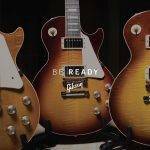 With prototype models being built from 1950-1951, the 1952 Gibson Les Paul is generally considered to be the ‘first run’ of this iconic instrument. 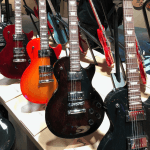 Rare as that is, it is believed that Gibson probably only made approximately 4 left-handed versions – and it is one of those that we are proud to have available. This stunning Goldtop features a mahogany body and neck, a hand-carved maple top and a Brazilian rosewood fingerboard with trapezoid inlays. 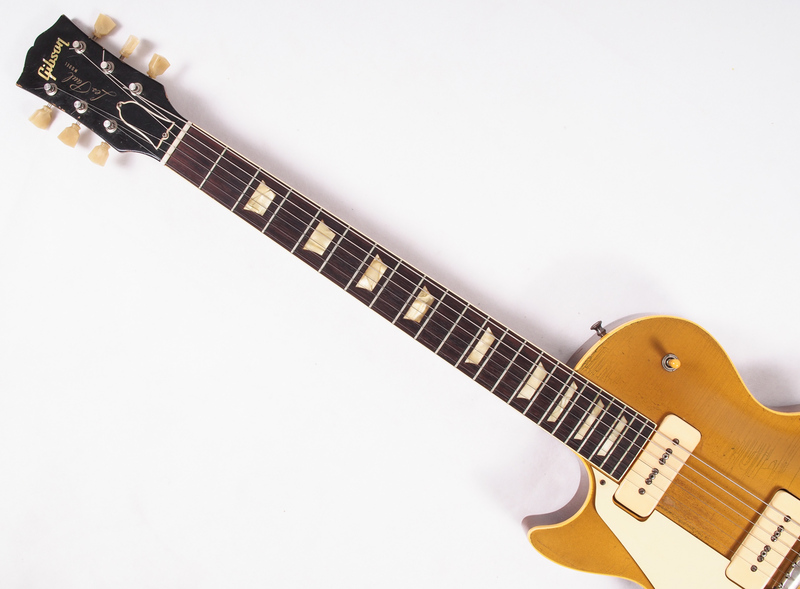 In terms of hardware, the 1952 Les Paul is equipped with P-90 pickups with cream covers, single ring, keystone Kluson tuners, single ply cream binding to the neck and body and a trapeze tailpiece. 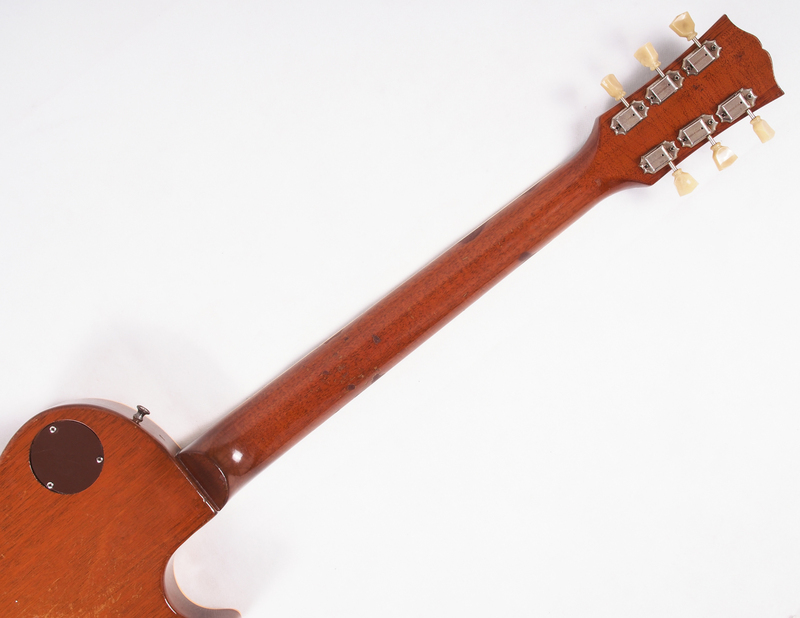 As you can see in the pictures, it currently has an after-market, compensated stop-bar fitted, although the original ‘string under’ stop-bar is included with the guitar complete with the height adjustment posts. 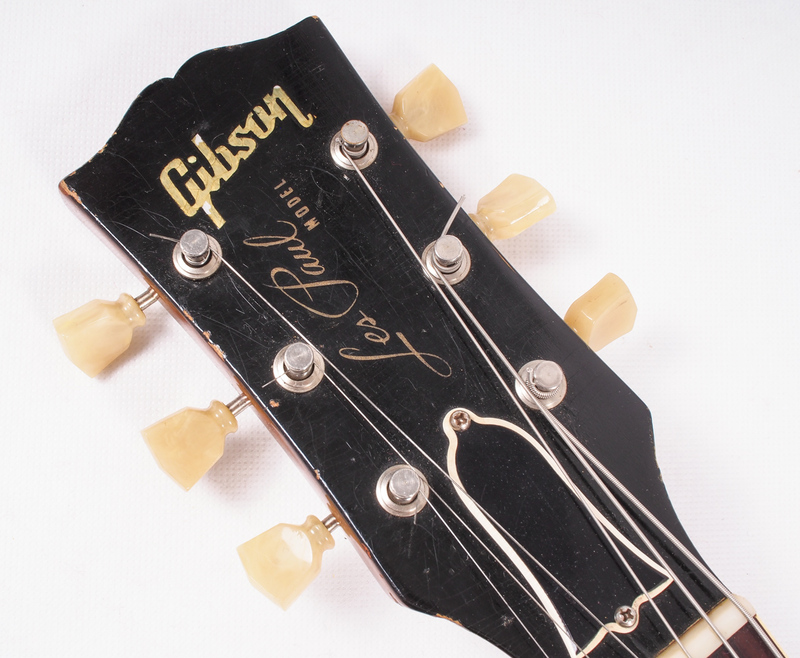 These early Les Paul’s also featured taller speed knobs and pickup selector switches than their counterparts from 1953 onwards. Every aspect of this beautiful guitar remains in exceptional condition – indeed, it is as fine an example of a guitar of its age as we have ever seen. 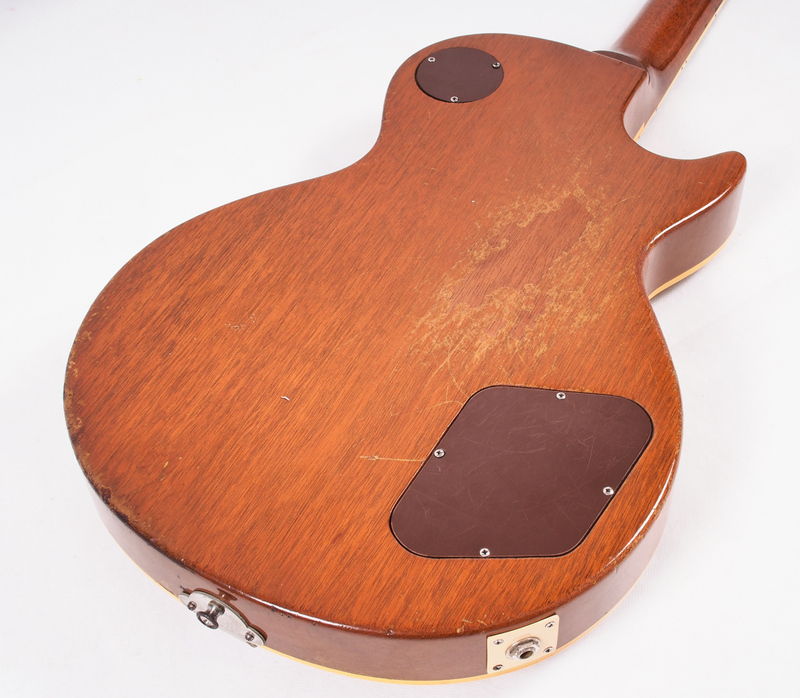 There is, of course, natural lacquer-checking to the top along with genuine playing wear, which the pictures show is minimal for a true vintage guitar. There is a small amount of the green oxidisation creeping into the lacquer-checking on the top of the lower bout, which is entirely natural, expected of vintage Goldtops and adds a real sense of the age of this historic instrument. The sound this guitar generates is nothing short of sublime, delivering rich mid-tones, accurate bottom end and detailed highs. Throw in just a hint of natural amp breakup and you’ll get all the delicious blues tone you could ever want – this is a guitar that cries out to be heard. As a nice little bonus, despite the prevailing opinions about the playability of early Les Pauls, this instrument is very comfortable in the hand and plays surprisingly well. 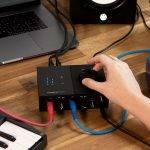 Included in the sale is the original Lifton case. This is a brown, hardshell case with pink plush lining and a neck pocket. The case has clearly seen some use and the catches are well worn. 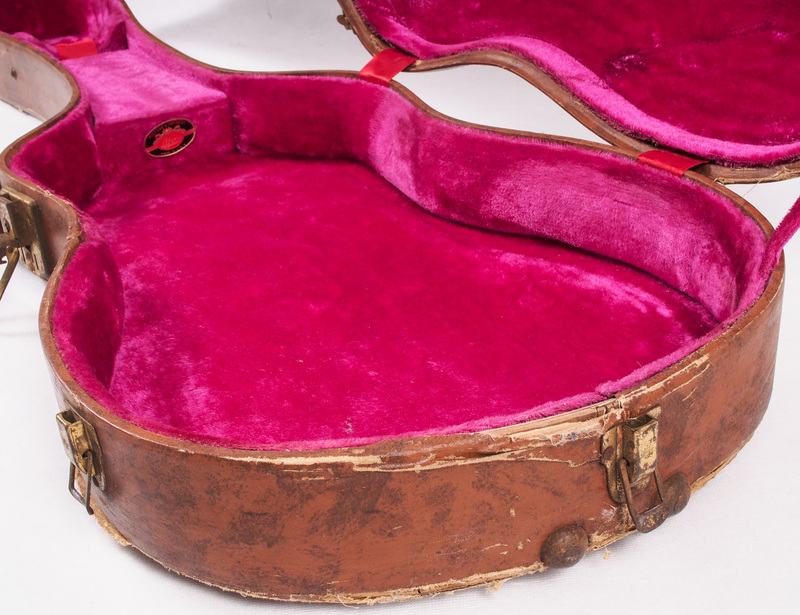 As such, although lovely and a great addition to the guitar, we would not recommend using the case as a permanent home for the instrument and will include a second hardshell case with the sale of this collector’s piece. Due to the rarity of this instrument, viewing in person is strictly by arrangement only. Next NEW Blackstar 10th Anniversary Edition Valve Combos!